Beneteau have been designing and manufacturing Sailing Yachts and Motor Boats for over 130 years in France. With the continuous passion to innovate, Beneteau have become one of the worlds well known Sailing Yacht and Motor Boat brands. If you are an owner of a Beneteau Yacht or Boat then of course you will be looking for a Yacht Insurance Company that matches the same passion, experience and high standards that you would expect from your Beneteau Sailing Yacht or Beneteau Motor Boat. 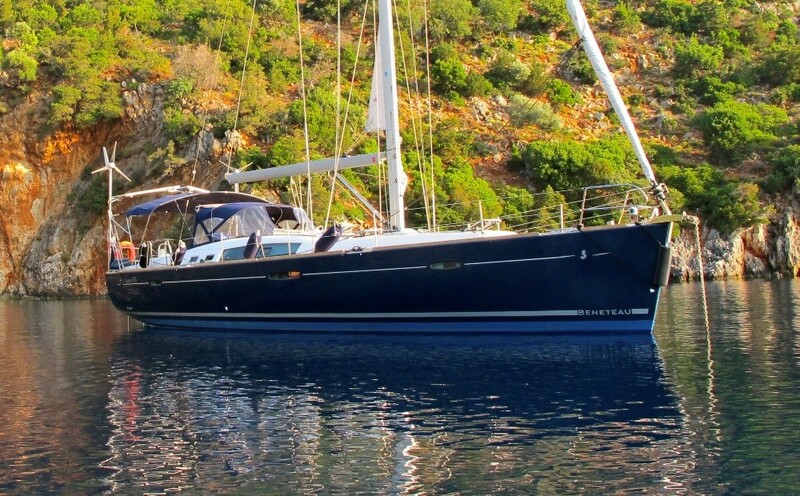 Admiral Yacht Insurance has been providing comprehensive Boat Insurance Cover for high quality Bluewater Cruising Yachts since 1991 including Beneteau Yachts. We offer unique and flexible Boat Insurance Policies in tune with your sailing requirements and cruising aspirations including coverage for the World Cruising Club Sailing Rallies. Our reputation for providing Bluewater Yacht Owners with peace of mind sailing for over 25 years makes Admiral Yacht Insurance the natural choice to give you the confidence that you have the best possible Boat Insurance Cover for your Beneteau Yacht, whether you are living the Bluewater Yachting dream or sailing somewhere closer to home in the UK, Europe, the Caribbean or even the USA. Like Beneteau Yachts, we at Admiral Yacht Insurance pride ourselves on our attention to detail, high standards of customer service and the loyalty of our Yacht Insurance Policyholders, 94% of who renew with us every year. Working closely with you, we can provide Boat Insurance Cover that is perfectly customised to your needs wherever on the globe your Beneteau Sailing Yacht may be. Crucially, all Boat Insurance Claims are handled in-house, making claim settlement fast, easy and stress-free. The Admiral Yacht Insurance scheme for Beneteau Yachts and Boats is a comprehensive and dedicated Boat Insurance Policy, designed for your peace of mind, with benefits unique to Beneteau owners including a loyalty discount, an extended cruising area as standard and a competitive Yacht Insurance Cost. So if you own or dream of owning a Beneteau Yacht or Boat, whether it is the safe and efficient Beneteau Oceanis Sailing Yachts, the sensational and sturdy Beneteau First Sailing Yachts; perfect for competitive sailing or the reassuring and ideal Beneteau Antares Motor Boats, Admiral Yacht Insurance will be pleased to provide you with a Yacht Insurance Quote. Whatever your dreams, choose Admiral Yacht Insurance for peace of mind sailing.